Sal Lupoli of Sal’s Riverwalk & Sal’s Pizza marvels at the booming success of his business complex in Lawrence, Massachusetts. 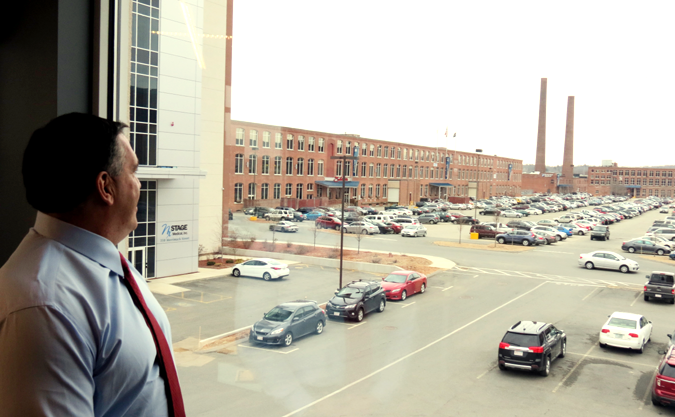 From inside his new office conference room above Coffee Cann Cafe at the massive Riverwalk complex in Lawrence, Sal Lupoli looks out over the full parking lot, marveling at the success of Riverwalk, and his recent purchase of the Wood Worsted Mill on Merrimack Street known as Monarch on the Merrimack. 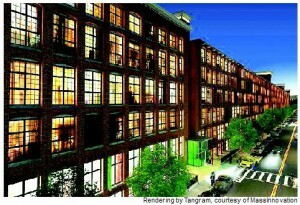 The building was initially purchased from Bob Ansin who spent millions of his own money rehabilitating the old mill and turning much of the building into middle-income housing. 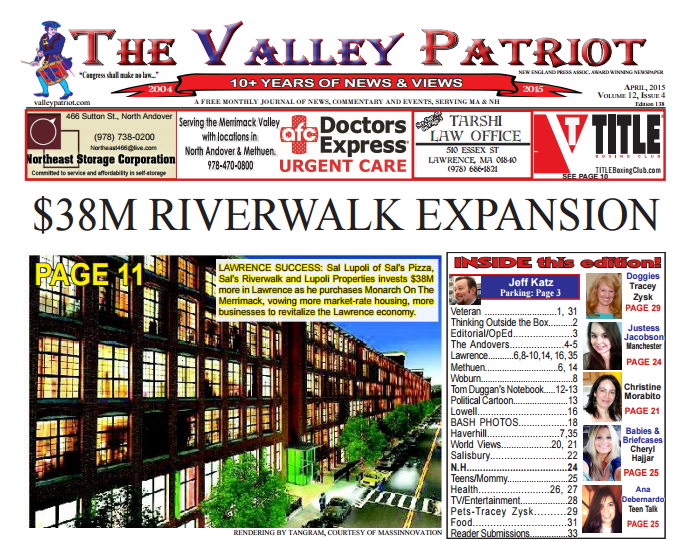 Lupoli told The Valley Patriot he purchased the Monarch building for $38M. “Look out this window here,” he said pointing out at the full parking lot. “So, I think Mayor Rivera is right, first create the jobs. It’s all about jobs. That has always been my focus. Now, look,” he said pointing to the bustle of people going in and out of the many Riverwalk buildings. 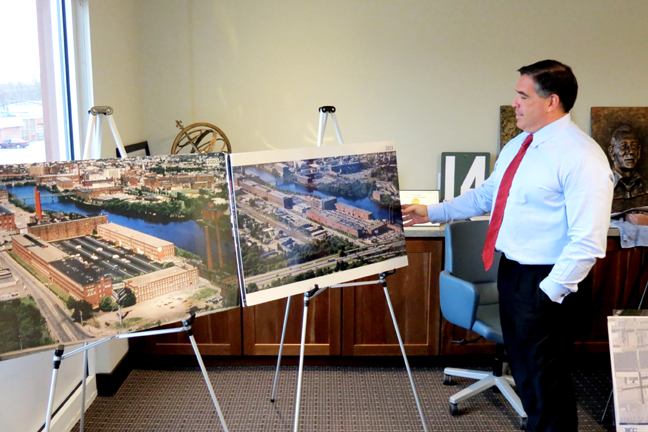 Lupoli said that his purchase of Monarch means additional investments and reinvestments to provide market rate housing for not only employees of Riverwalk, but for middle income professionals who want easy access to the highway, and are minutes from Lawrence’s downtown. “So when I see challenges in life, I think about the challenges my mother and father went through, and where I came from, and it motivates me. What motivates me and why I run to work every day is, I see the opportunities that exist in the City of Lawrence that have been put at the back of the bus for years. Lawrence has so much potential but it takes vision and hard work to realize that potential, otherwise we will all be sitting here 20 years from now saying, “Lawrence has potential” instead of “Lawrence is thriving”. What about if the market or the economy changes for the worse? 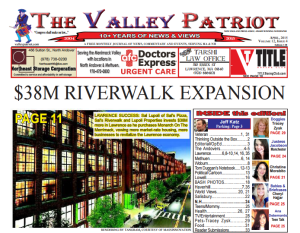 In an interview by The Valley Patriot in 2006, Sal Lupoli said Lawrence Mayor Mike Sullivan was the catalyst for most of the renovation and revitalization at the mill complex. “I can tell you that I wouldn’t be here investing millions of dollars in Lawrence if Mike Sullivan wasn’t the mayor of this city. That’s just a fact. Mike Sullivan has been instrumental in the success of this project. The people of this city have also been instrumental in this project. You know how many phone calls I get from the city referring business here? It’s amazing.” Lupoli said at the time. Lupoli says he has a ten year vision for Monarch to be at full capacity with a vision for not only market rate housing, but to have small businesses as well. On Monday September 8, 2014, Lupoli Companies, based in Lawrence MA, was awarded the 2014 Business of the Year by the Northeastern Economic Developers Association (NEDA). Secretary of Housing and Economic Development of the Commonwealth of MA, Gregory Bialecki, presented the prestigious award. The NEDA Business of the Year award recognizes a company that demonstrated the highest degree of good corporate citizenship, has invested in its own area economy and has set an example for others to emulate. NEDA promotes professional economic and industrial development throughout the Northeastern United States, including Connecticut, Delaware, Maine, Massachusetts, Maryland, New Hampshire, New Jersey, New York, Pennsylvania, Rhode Island, and Vermont, as well as the District of Columbia.